I’ve found myself developing a bit of a bad habit: plopping Wyatt into his high chair in front of the computer or the TV to eat his snacks and meals. It seemed like the perfect solution! He could sit there, eating (and supposedly entertained) while I wash the dishes, return emails, run to the washroom, throw in a load of laundry, etc. As Wyatt gets older and really starts to absorb our routine and life, it’s really become clear how much I want and need to connect with my child and my husband throughout the day. Like, really connect. No phones, no TV, no distractions. Just sitting together, enjoying a meal while talking about our day. Like the rest of you, we lead an incredibly busy life. My blogging career, my husband Ryans’ two jobs, our dog, Wyatt’s activities, maintaining relationships with friends and family, exercise, vacations, etc. It’s tough to find the balance, and it’s been a challenge to find time to sit around the table together as a family, even once a week. Solution: Try “planned extras”. Different from leftovers, these are made on purpose. Leftover love is hit or miss, but if you reinvent leftovers into new and exciting dishes, everyone is a fan. BBQ a couple extra chicken breasts so you have leftovers on hand to make a chicken-avocado-apple wrap, or BBQ chicken-pineapple-red pepper flatbread. 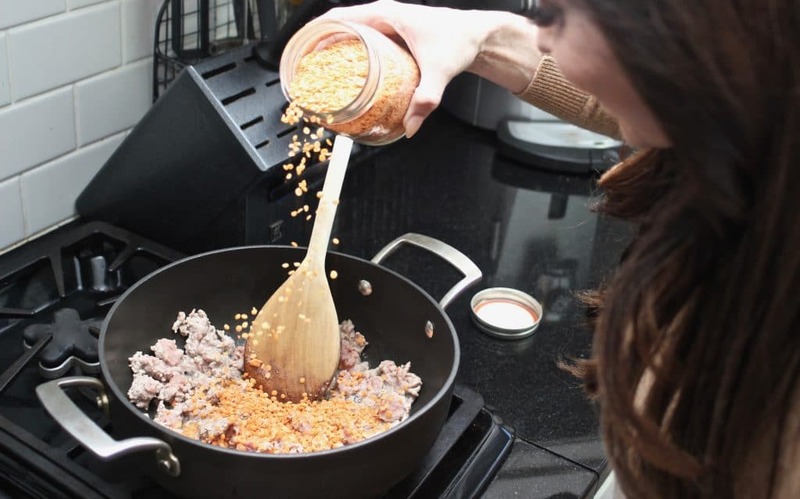 Solution: If cooking is not your jam, or you lack experience in the kitchen, don’t despair! You can still enjoy family meals. Check out StartCooking.com for quick tutorials on everything from making boiled eggs to chicken parmesan. You can even create time to take in a local cooking class. It’s the perfect date, IMO! Embrace one-pot wonders, or Sheet-Pan Suppers. Essentially these dishes are the Hail Mary of cooking. Throw everything in a pot (better yet a crock pot) or pan, and let the magic happen. 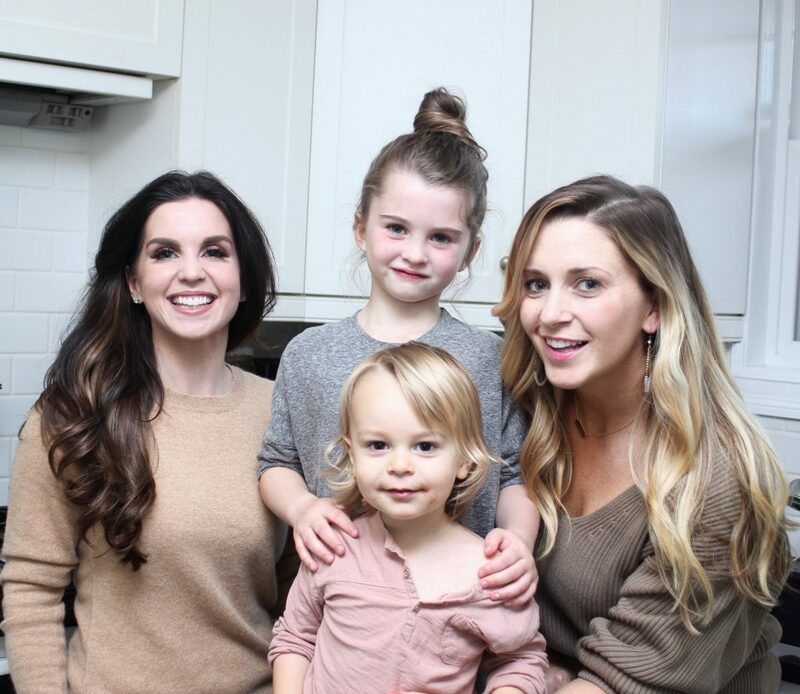 Healthy helpers are a necessity in any GetJoyfull kitchen. Essentially they’re convenience foods packed with nutrition that also save time and energy. Frozen cubed avocado and butternut squash. Whole-grain flatbreads and fresh pasta. Rotisserie chicken and canned salmon. Shelled edamame and canned lentils with no added salt. These are just a few favourites that can bring dinner together in a snap. Solution: Minimize distractions and keep conversation light. (Try these go-to conversation starters.) Most of us watch TV from time to time during a meal. However, it can quickly become routine and lead to mealtime mayhem when unchecked. Even if it’s only for 15 minutes, turn off distractions like the TV, computers, tablets and phones during a meal. This will create an environment where kids understand what is expected, shifts the focus on family time, and allow for more connection. Solution: Give yourself a break, and celebrate small wins. More often than not we are our own toughest critics. 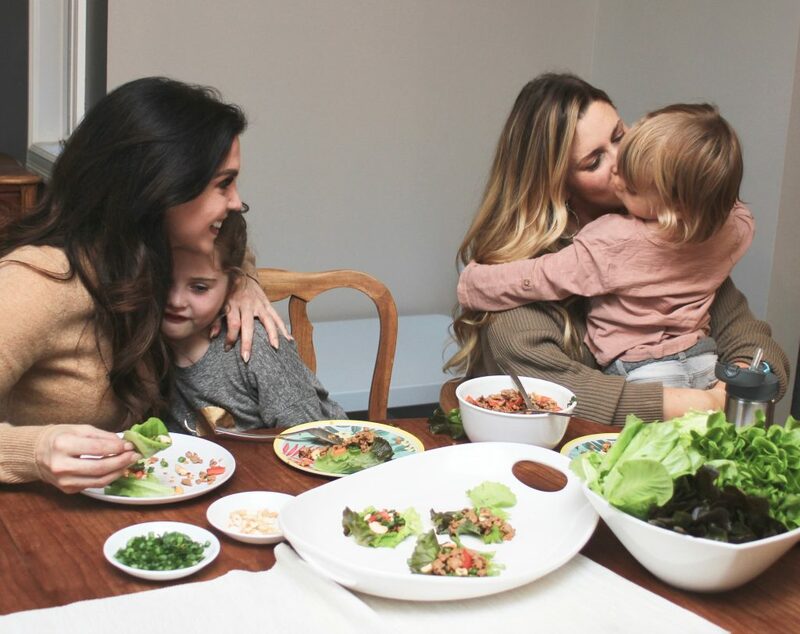 We get too focused on creating the perfect family meal, or eating together every day of the week that when “the plan” falls apart and real life gets in the way we feel like we’re failing. Filling up on family time can take many different forms. For one family, it’s weekend breakfast. For another, it’s Wednesday dinner because that’s the only night of the week everyone is home together. 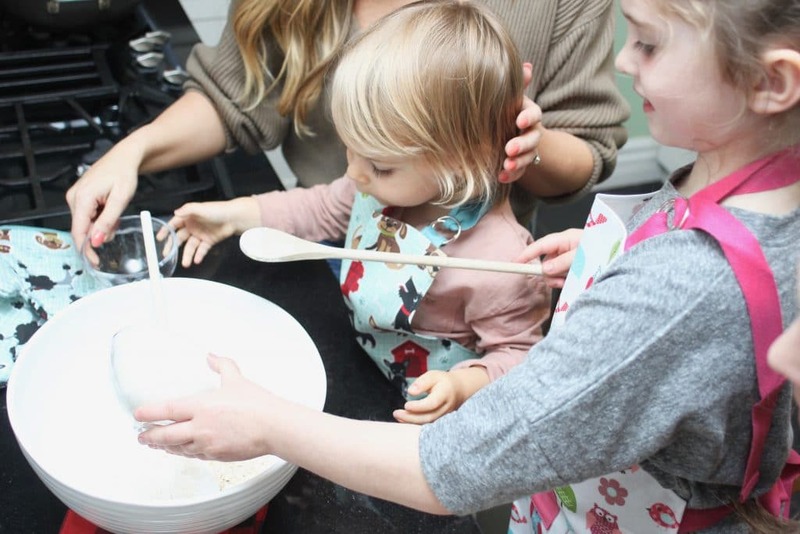 For another family, it’s baking with Grandma on Sunday. Celebrate small wins, and make the most of the time you can create to enjoy family meals. You won’t regret it. 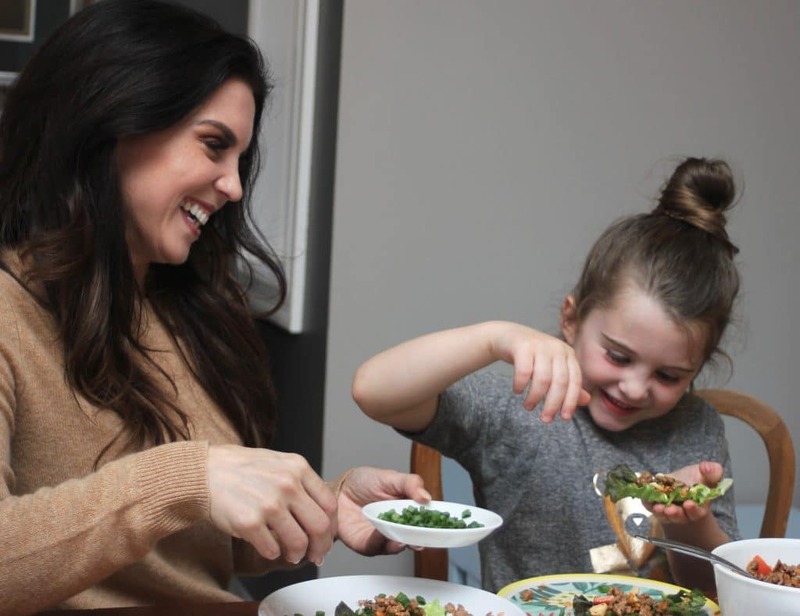 When your little one sees you enjoying vegetables – fresh, frozen, raw, cooked – they’re more likely to take a brave bite and get on the veggie wagon. Good memories and traditions formed during mealtime stay with kids for a lifetime. Kids that eat with their families actually do better in school. 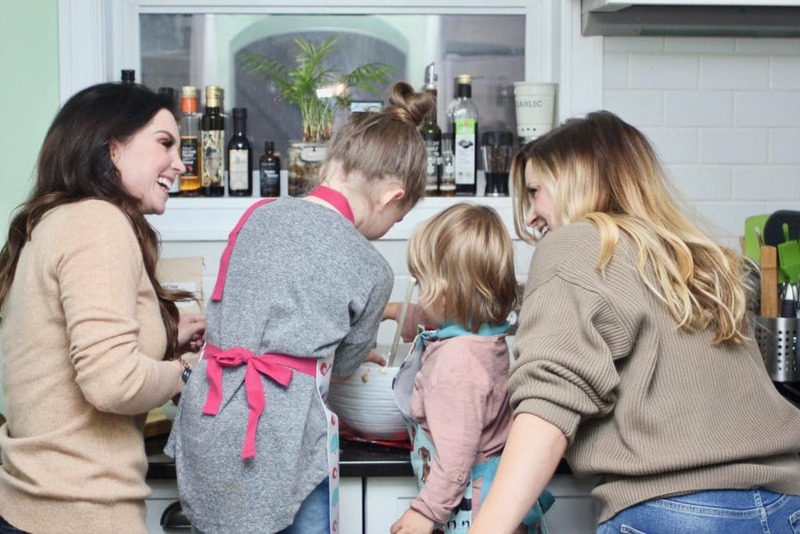 When little ones help prepare meals, they learn how to cook and enjoy many kinds of food. 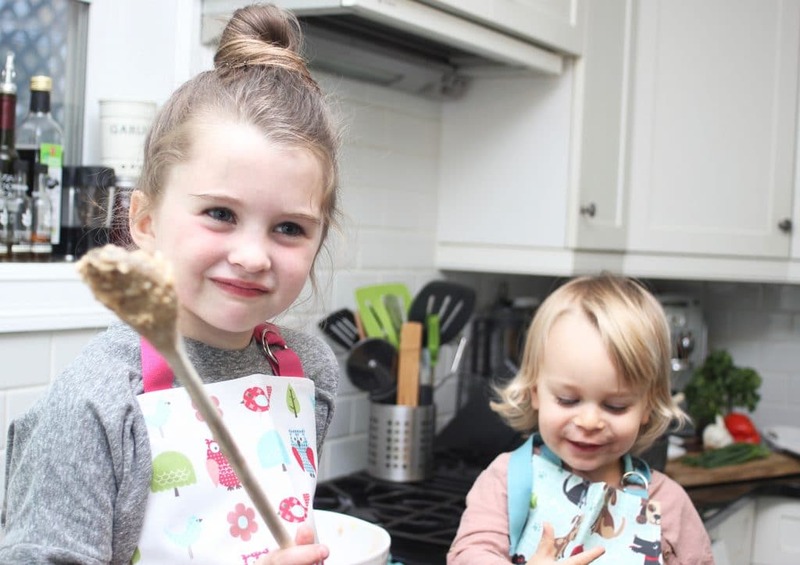 Kids in the kitchen build their self-esteem, learn math skills, and practice cooperation. The benefits are worth the extra clean up. Children that eat with their families can become better communicators and have fewer behavioral and social problems. Sitting together gives young kids the opportunity to learn more words and practice their communication skills. When we plan our grocery list with family meals in mind we can transfer these savings into fun family outings like visiting the Edmonton Corn Maze, or hosting a neighbourhood pumpkin carving party. When we stick to a well-planned grocery list we buy what we need vs. what we think we need, and avoid food waste. Don’t get me wrong, every single meal isn’t going to be around our table with no distractions. It’s just not realistic with our jobs and extra-cirricular activities. Sometimes, Wyatt will be in high chair eating while I do the dishes, sometimes we will order in, sometimes we will eat on the run! So, at this point in our life, we’re making it our goal to make those around-the-table moments happen a few times a week. Check out a few more of our favourite snacks and drinks – here!